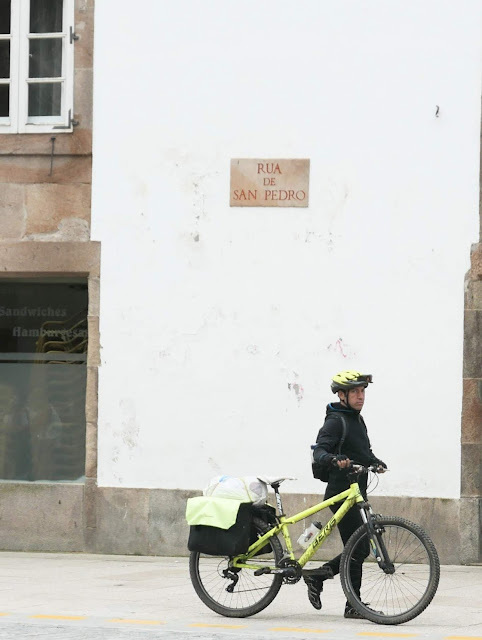 I'm in Santiago del Compostela after cycling the final 53 km. The route was fine, it didn't rain until I arrived in the City, but it felt like a long way. I guess I'm just knackered. 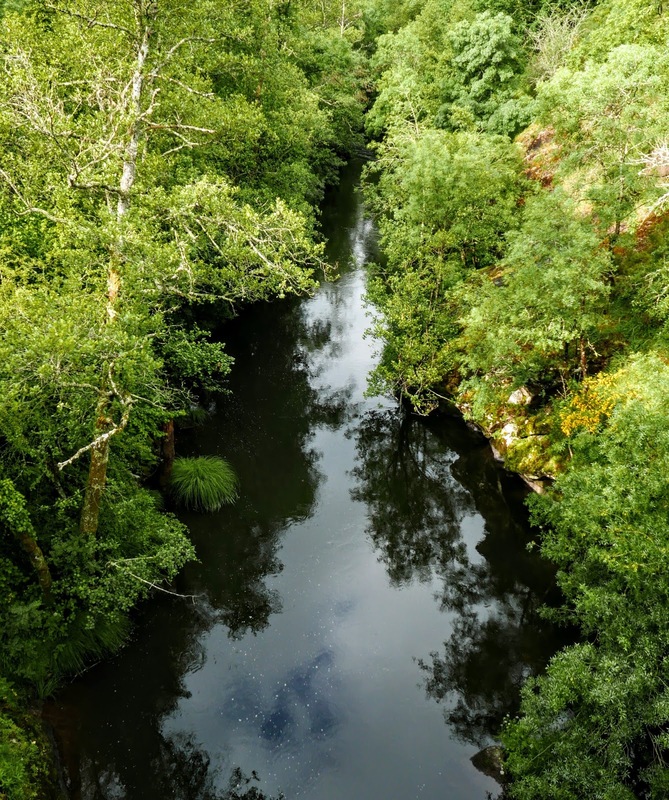 I've been cycling without a break for 11 days and the recent tough going (1500m of climb today, mostly off-road) and bad weather is draining. The woman at the hotel near Lalín was still in bed this morning when I got up for breakfast and her husband was there to do the honours. After dealing with a huge party at lunchtime yesterday, which didn't leave until 5, she then fed me at 8-30 (fish, very nice) and another huge party, all men, which sat down to eat at 9-30. I guess she needed a lie in before the Saturday rush. Anyway dinner, bed and breakfast came to 25 euros a real bargain. For the first hour the sun made a guest appearance providing a bit of illumination into a trail so tree lined that it was almost a tunnel. 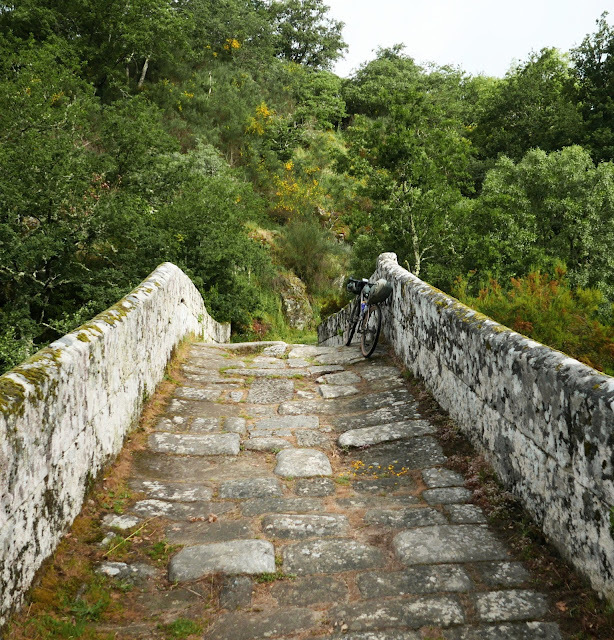 It is a beautiful ancient route and included stretches of medieval paving slabs which looked the part but were impossible to cycle along. I stopped for a mid-morning snack at a bar in a tiny village called O Siexo after making good progress from Silleda (quite a big town). The heavily pregnant woman behind the bar was keen to know how many pilgrims I'd seen and pilgrims were clearly her main source of business. I was there for about 30 mins munching my way through what was the biggest bocadillo I've eaten so far and the competition has been intense. I’m not sure if the size of the bocadillo (basically a massive sandwich) helped much with the next stage, a very steep 200m descent down to A Ponte Ulla and an equally tough ascent up the other side. 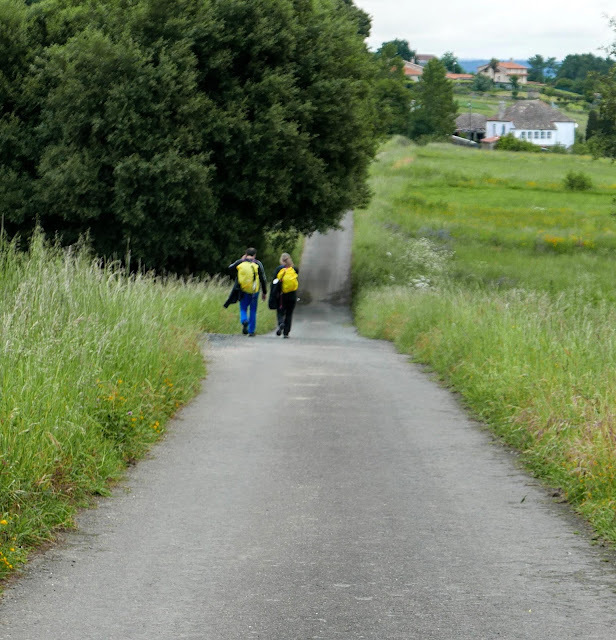 Within 20 km of Santiago del Compostela, I was passing pilgrims who like me were going to make it to the City today. 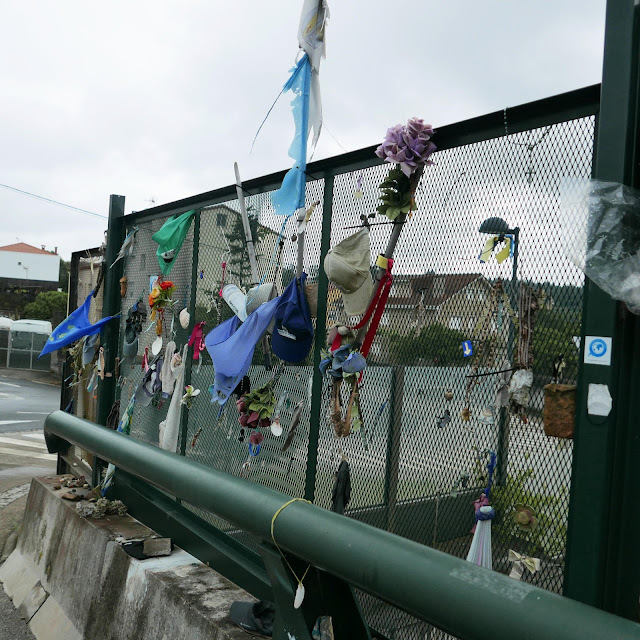 There was a noticeable change in mood and, although never unfriendly, they were a bit freer with their greetings. 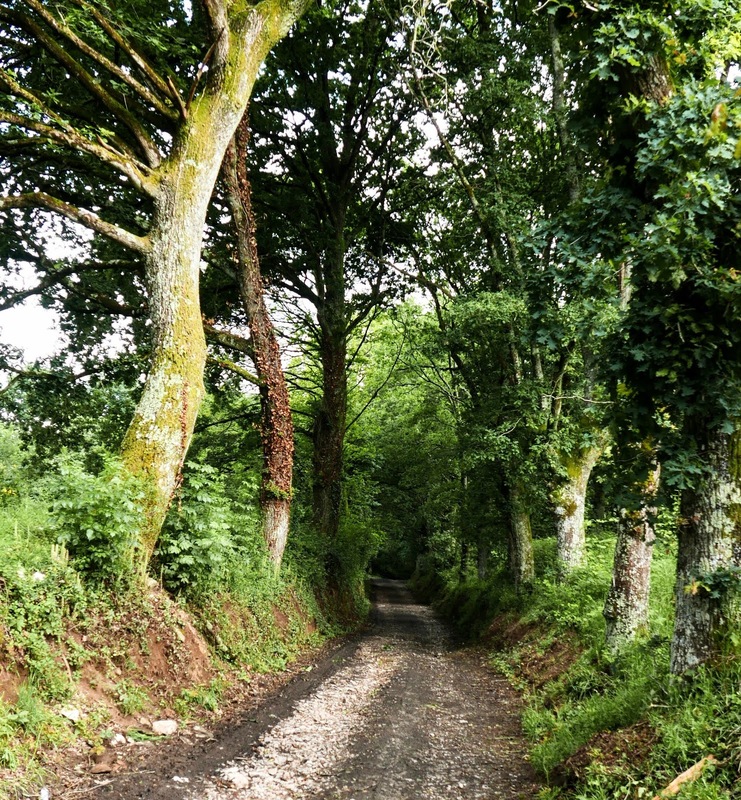 The route also improved and until a last sting in the tail, a climb up a horrible hill where the surface consisted of building rubble, the route was generally on tarmac. 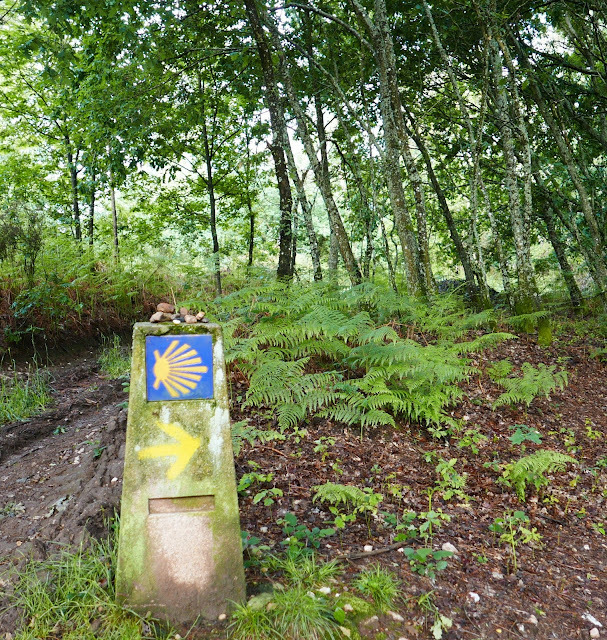 The Camino Sanabrés comes into Santiago del Compostela from the southeast and the entrance is not as interesting and welcoming as the way in for the more popular Camino Frances. In fact, apart from various bits of pilgrims clothing attached to a bridge, there was little denote the end of the journey. I'm not that sentimental however so, as it was raining, made my way to the hotel rather than the traditional end of the route, which is the cathedral. I'll have a look at that tomorrow, I've got a day off and some serious slobbing to do. 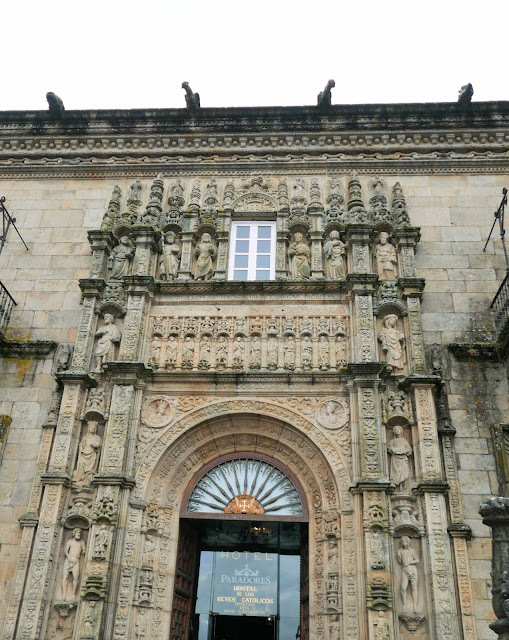 This is my third visit to Santiago del Compostela and it always a pleasure. It's feel different to the rest of Spain and it's not just the weather which is often wet. The food and drink here is great and there is modern and fresh reinterpretation of what is local. 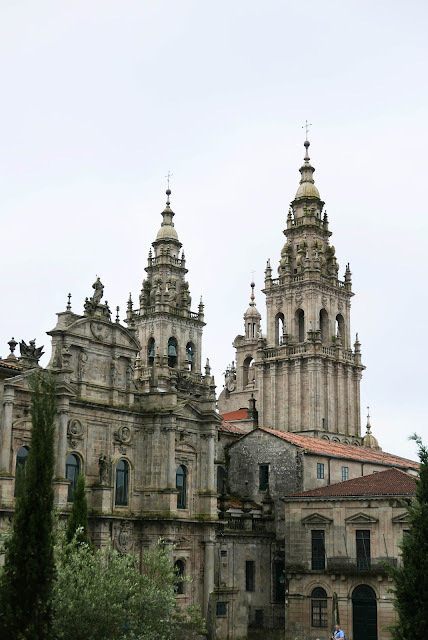 The buildings are big and impressive and while the granite the stonemasons have to work with is not as malleable as the sandstone in Salamanca, it does transmit power. The parador here is supposed to be the best one in Spain and though some argue the case for the parador in Leon, this one, forming part of the main square in front of the cathedral, has the best location. It was built by Ferdinand and Isabel for the pilgrims (it's Isabel in Spanish not Isabella) and testifies to the fact that Santiago del Compostela wouldn't be the city it is without them. 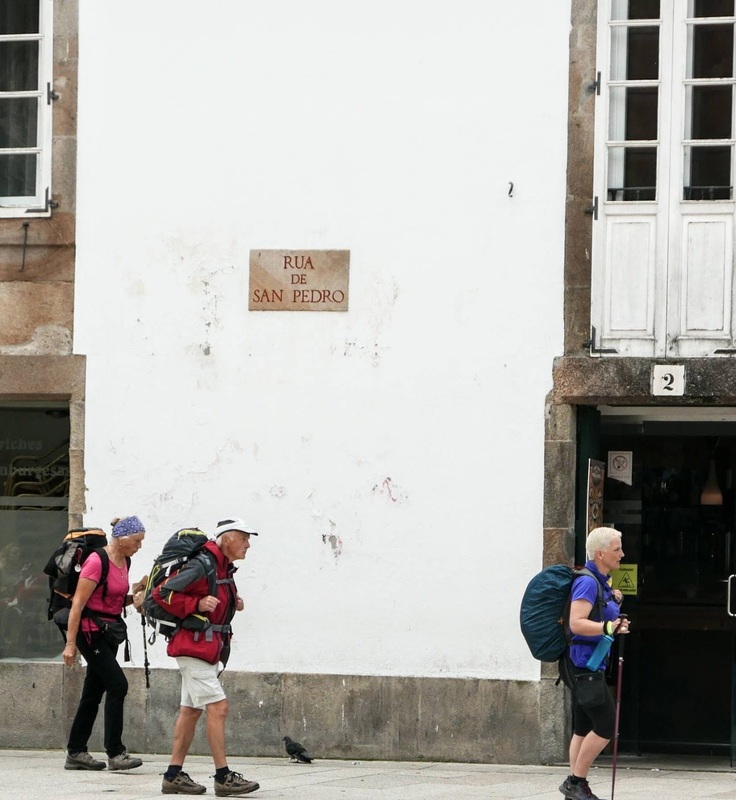 The pilgrimage is history's longest running bucket list item and the sight of dozens of pilgrims plodding into the city on the Ruta de San Pedro every hour is pretty amazing. 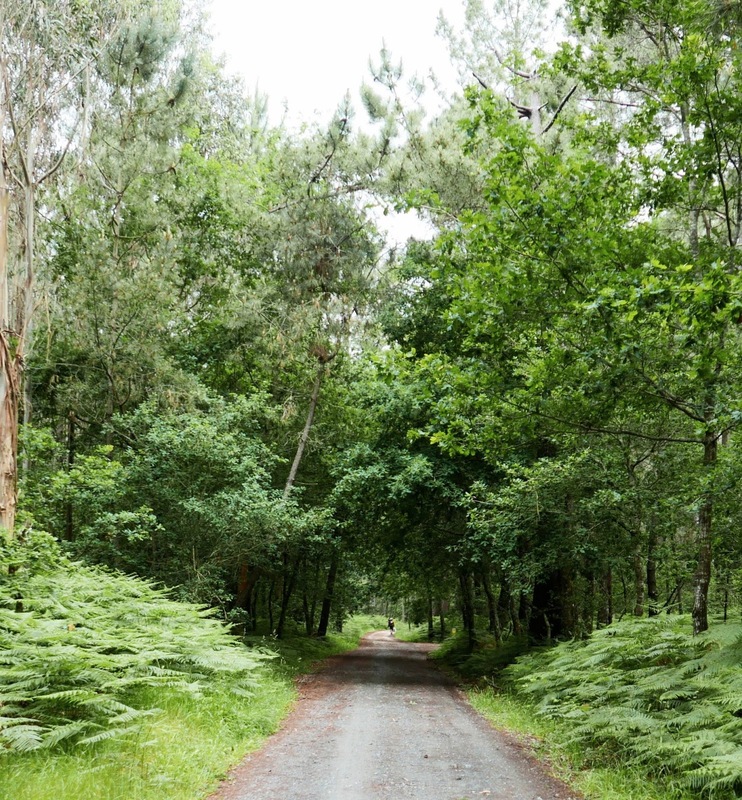 For a keen hiker like me it's hard not to feel both admiration and condescension. 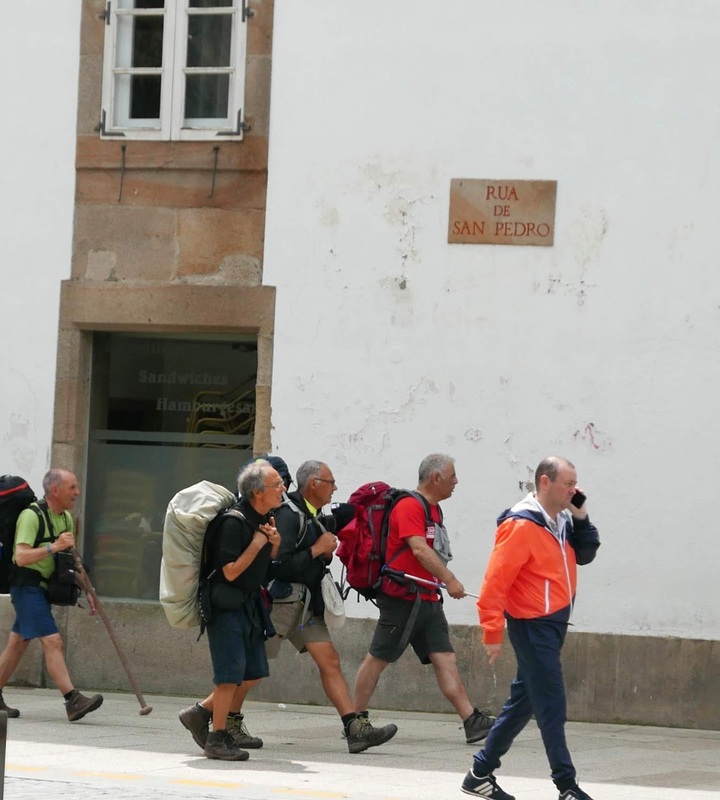 Quite a few of them have clearly struggled to get here and are in a mess on arrival; but really it's there own fault, the route is not good and as something like 50 per cent of the main walk is on roads, it serves them right if they end up hobbling with blisters. 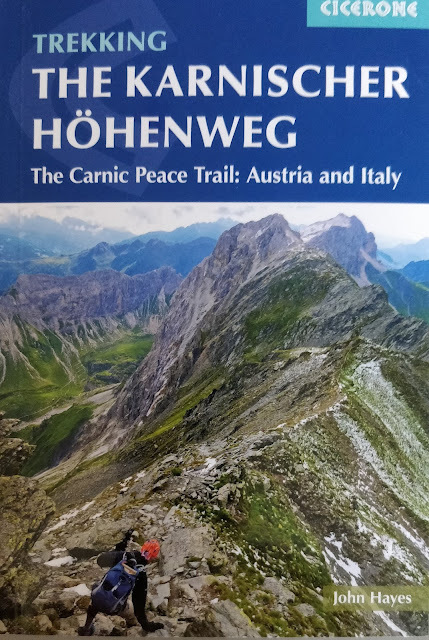 What they should be doing is something like Munich to Venice, much more beautiful, a proper hikers challenge and a lot less crowded (my book is still available). Judging by the range of nationalities the pilgrimage continues to grow, with Chinese walkers an obvious recent addition. Meanwhile Santiago del Compostela continues to absorb them and apparently thrive in the process.